Why should faithful Catholics have to continue to endure unending attacks against our beliefs by those in the arts? We Catholics do have a voice to be heard in all the arts: literature, fine art, music and beyond. 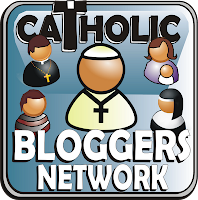 This site is a place for Catholics to read and talk and learn about the arts, from fellow Catholics! Art belongs to us, but it is grounded in God Himself. Join our discussions of the arts: fine art, literature, film, music, fashion, architecture, and beyond. Art is universal, catholic and therefore, Catholic.